Now updated to a 2nd Edition, Drs. 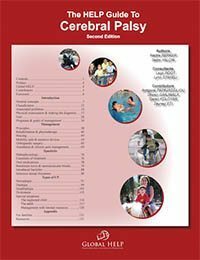 Nadire Berker & Dr. Selim Yalcin have created an excellent publication providing an overview of the diagnosis and management of cerebral palsy. This publication is authoritative, comprehensive, extensively illustrated, colorful, and engaging. The need for this publication is enormous, as cerebral palsy is common throughout the world and no affordable management guide is currently available.